Although most tourists rush through the north Sithonia to get to real gems of this peninsula, we can assure you that this part hides equally beautiful and interesting places for your enjoyment. All the magic of Sithonia starts in Metamorfosis. As its name (transformation) suggests, the change in climate, odour and the atmosphere can literally be felt at this point. The undergrowth is suddenly replaced with tall pine trees and hot summer climate with freshness of cool breeze. The Metamorfosis atmosphere introduces you to the magic of Sithonia. As you go further, the ride becomes more pleasant and you start really enjoying the little villages, luxury resorts and camps which will lure you to stop there and start thinking if maybe that is the place you want to spend your holiday. That is what Sithonia is all about-every place is perfect and to every place you want to come back! The next bigger settlement is Nikiti. With its population of 2,500, big supermarkets, souvenir shops, post office, pharmacies, a long beach with plenty of beach bars, it is everything that one seaside town should be. Nikitii has one small secret. Most visitors turn right towards the sea from the main road but turning left, opposite the sea, will lead you to the new world of old Nikiti. Let us just say that this settlement dates from 7th century B.C. and it has surely kept the spirit (and looks) of old times. Its old fashioned houses, narrow streets and friendly people will for sure make you want to come back. 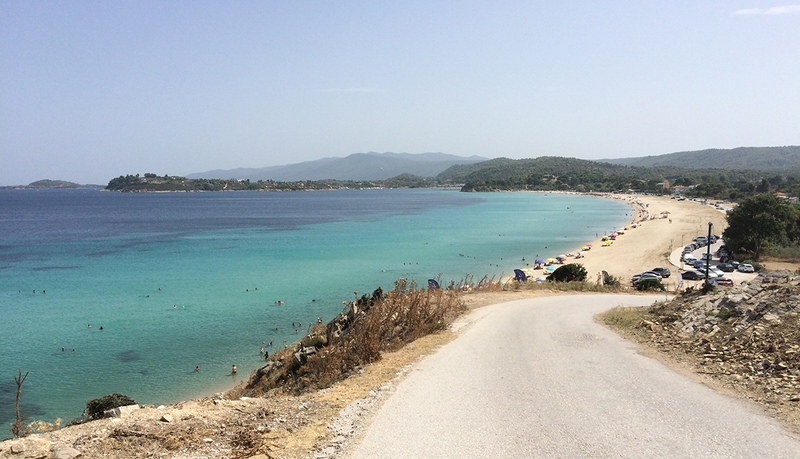 Just after NIkiti, there is a main crossroad taking you either towards Sarti (east coast) or Neos Marmaras (west coast). Don’t worry too much about it, you will make the full circle while you are here anyway. If you decide to go towards Neos Marmaras you stumble onto some beautiful beaches with crystal waters like Kalogria, Elia, Lagomandra, etc. This part of Sithonia is just a little bit less wild and adjusted to the commercial tourism with many beautiful resorts. And now, let’s go to the east! It looks as everything on this side is left as nature made it. A narrow road surrounded by perfect nature will guide you for about 20km to the next big tourist village – Vourvourou. Although this village does not have a classical pedestrian walking zone nor a centre and it can look strange at first sight, here you can find perfect accommodation (luxury and standard) and you can make it a perfect starting point for your Sithonia adventure. In the 1960s the teaching staff of the University of Thessaloniki made it a holiday resort with respect to natural surroundings. 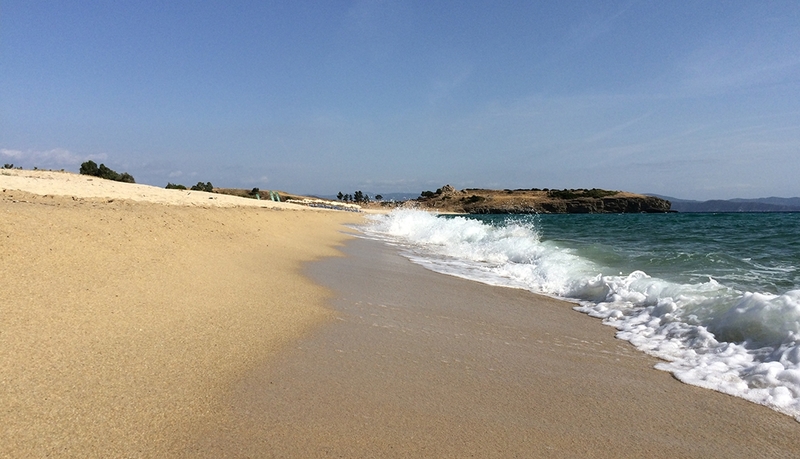 The beaches in this area look as if they are jealously hidden by the locals but with a little exploring you can find some of the most beautiful and peaceful beaches on Sithonia here. 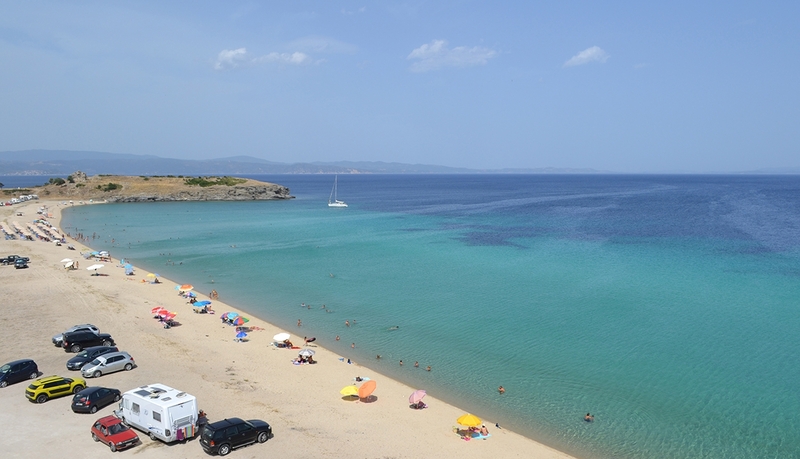 South of Vourvourou, towards Sarti, some of the beaches are Karydi, Fava and many many more. You just need to start explore. North of Vourvourou you can experience the out-of-this-place beauties of beaches Livrochio, Trani Ammouda, Lagonisi, etc.